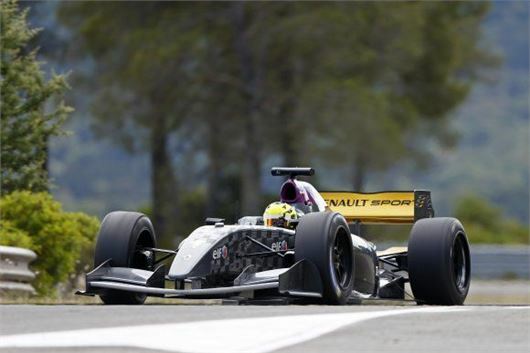 In October 2014, Michelin and Renault Sport announced their intention to develop 18" and 17" tyres for the Formula Renault 3.5 and Formula Renault 2.0 single-seater racing cars that star in the World Series by Renault. Following further testing, Renault Sport and Michelin have concluded that the replacement of the 13" tyres that currently equip the WSR’s FR3.5 and FR2.0 cars is a first class solution to make driving more enjoyable still for competitors. Benefits include enhanced performance during transient phases. Tyres with smaller sidewalls produce less yaw, greater precision and improved steering response. At the same time, the change marks a big step forward in terms of the opportunities it offers when it comes to carrying over technology to Michelin road tyres. “There are solid grounds from both the technical and sporting viewpoints for switching to 18" and 17" tyres,” said Philippe Mussati, Manager of Michelin Motorsport’s Customer Competition Department. “Our tests reveal that the drivers benefit from more precise performance, while the change also provides the teams with additional scope for set-up work which would consequently have a far bigger influence on results. On top of all this, bigger tyres also enhance the cars’ look.